So Bank Holiday Weekend had arrived, and the Wessex Ferret Club and their fuzzy friends took a trip into the countryside, and a visit to the Shapwick Country Fair! 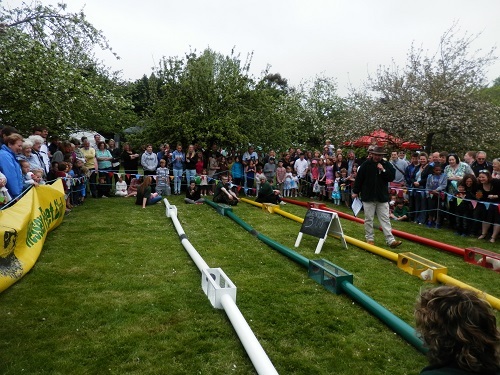 Despite the threat of rain, and the promised excitement of the Monaco Grand Prix, the sun shone brightly, and everyone had a fun day of racing, full of thrills and a re-match, as the ferrets enjoyed it so much, they had our first ever tied race! They was plenty going on, with great music, the intriguing Dorset Nob eating and tossing competitions, and lots of coffee, tea and cakes, although the donkeys in the next field didn’t seem to bothered. Everyone had a great day, and we look forward to returning to this wonderful show in the future. Take a look at the fun here!